Prenuptial and antenuptial agreements are legally binding contracts that help couples avoid the stress of having to divide their property during a time that is already emotionally charged. In these types of contracts, the couple has already determined ahead of time how property will be divided upon divorce. Such contracts are considered enforceable, provided the terms of the contract were written in accordance with the law. Although nearly all couples enter into marriage with the intention of living together as a married couple “until death do us part,” we understand that certain people have cause to protect themselves and their assets in the unfortunate event of a divorce. Whether your decision to enter into a nuptial agreement is because you have substantial assets that need to be protected or because you had a bad divorce experience in the past, the lawyers at McKellar & Easter, Attorneys at Law, will help you enter into an agreement that will provide you and your assets with the utmost protection allowable under the law. What Is A Prenuptial Or Antenuptial Agreement? Once signed, these agreements become binding, enforceable contracts. The Tennessee Supreme Court has stated that the spouse seeking enforcement must prove by a preponderance of evidence that a full and fair disclosure of the nature, extent and value of his or her property and assets was provided to the other spouse or that disclosure was unnecessary because the spouse seeking to avoid the agreement had independent knowledge of the full extent of the value of the property and assets. Postnuptial agreements, also called antenuptial agreements, are allowable under Tennessee law as well and are also considered contracts. Tennessee law requires that a valid and enforceable contract must be the result of a “meeting of the minds” and must have sufficient specificity and detail to allow enforcement. Both parties must be of sound mind, be competent and have been fully informed of the other spouse’s holdings and assets. What Does A Prenup Or Postnup Do? Both types of agreements serve to keep divorce out of the courtroom. Instead of spouses facing an unknown outcome in trial or mediation, a nuptial agreement determines those variables in advance. For example, these agreements often include provisions that allow each spouse to retain all premarital property, appreciation in premarital property and assets acquired after the marriage if acquired with that spouse’s separate funds (i.e., a separate bank account or income) in the event of divorce. That way, any income or assets held or titled in each spouse’s name, regardless of the timing of the acquisition, shall remain separate property and cannot be litigated. Essentially, nuptial agreements speed up the division of property process and make it less contentious. These agreements can also waive automatic statutory provisions regarding inheritances. Unless specifically waived by a prenuptial or postnuptial agreement, your spouse may be able to claim a one-third share of your estate and monetary support for one year, regardless of what your will provides. With a properly drafted nuptial agreement, however, this may either be avoided or increased. These agreements also allow for alimony to be settled upon in advance. The parties can waive alimony completely, set up various conditions under which alimony will be paid, or provide a certain amount of alimony to be paid for a specific period of time. Spouses can also choose to have the agreement specify how jointly acquired property will be divided in the case of divorce, thereby reducing discord and expense. Is A Nuptial Agreement Right For You? Ask Our Team. Bear in mind that if you feel that a nuptial agreement would be to your benefit, it is best to have the agreement executed prior to the wedding. In Tennessee, postnuptial agreements are much more difficult to enforce than the more favored antenuptial agreements. 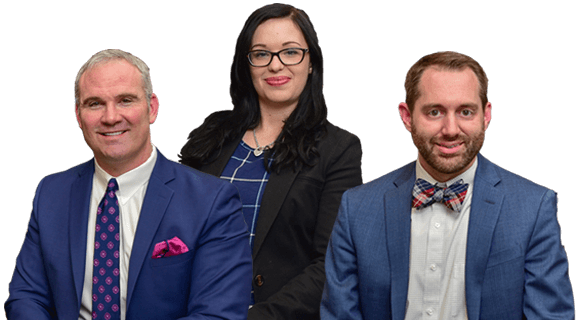 Regardless of your issues or concerns, McKellar & Easter, Attorneys at Law, is dedicated to helping you. To make an appointment with one of our qualified lawyers, call 865-566-0125 or send us an email. All initial telephone consultations are free and may be scheduled at our Knoxville, Tennessee, office. We accept credit cards.